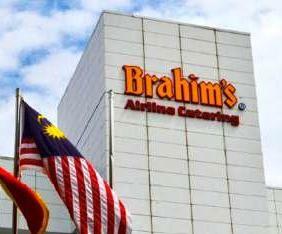 PETALING JAYA: Brahim’s Holdings Bhd plans to develop an abattoir, designed to meet all China, European Union and the US Halal requirements, in partnership with Australia’s Carpenter Beef Pty Ltd (CB). Both parties yesterday entered into a memorandum of understanding (MoU) to develop the Cataby Abattoir plant that will have a capacity of 100,000 carcasses per annum on a single shift basis, with a 400 head per day capacity. Brahim’s said the MOU will allow the company to tap into the opportunity of co-owning the Cataby Abattoir, as a halal compliance abattoir, with CB as its partner. “Upon additional capex of AU$15 million, the plant will be fully operational within 6 to 9 months from investment date,” Brahim’s told Bursa Malaysia. Brahim’s plans to initially invest up to 49% stake in the Cataby Abattoir project but would eventually have a controlling 51% stake with the remaining held by CB. “The parties agree it is essential that the project receives Jabatan Kemajuan Islam Malaysia’s endorsement and certification and that Brahim’s seeks to enable financial consolidation of the joint venture,” it said. Brahim’s would be the major off taker for the products produced by Cataby Abattoir while CB will operate the plant. Both parties will also look at future expansion opportunities to collaborate in breeding capabilities of high, medium and low value cattle, partnership in feedlot development, and management of farmland and open range cattle farming.